Muddy Paws & Inky Fingers: Hello, Scrapyland! It's the first Wednesday of the month, and I'm pleased to say that I'm starting on the Scrapyland Challenge design team. I'll be posting for them twice a month. Scrapyland Challenges are the 1st and 3rd Wednesday of the month. The themes are always anything goes, as long as you use a die that Scrapyland sells. 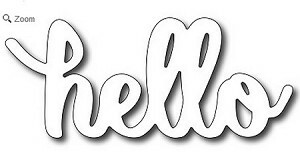 You could be one of 2 winners of a $10 gift certificate to the Scrapyland Store. 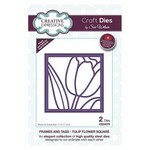 I think lots of us enjoy dies, and own many of them, so whenever you use one, Scrapyland probably sells it. Check and see, then link it up at the Scrapyland ATG Challenge. I'd love to see what you create, and there are great prizes to win! 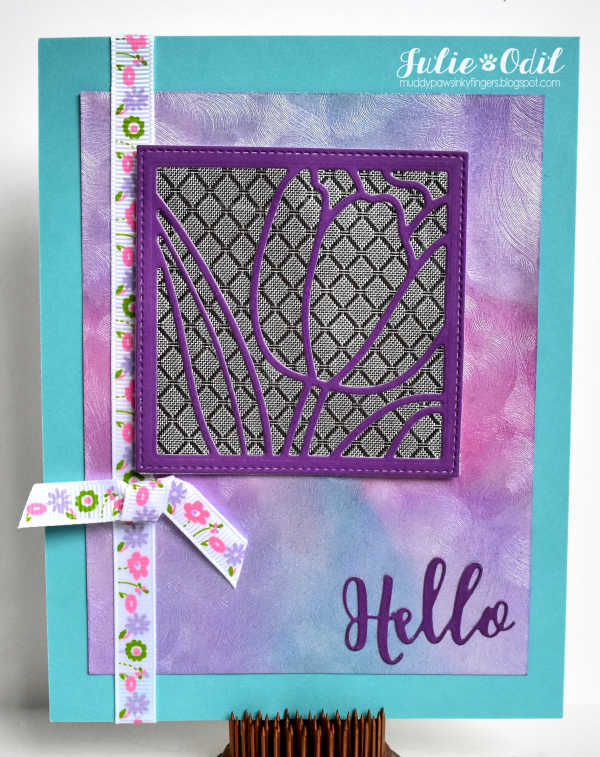 That tulip square die is so striking and I love the background you put behind it! Beautiful card! This is such a beautiful Spring card Julie. Love the soft colors and the tulip die you used. So glad you are a part of the team! Gorgeous ribbon and background. Congrats on the new DT. Wonderful die cut.